29 frantic minutes, 10 blistering tracks. This pinnacle of thrash perfection was created by a band who epitomised the scene like no other. Dave Lombardo’s aggressive and revolutionary drumming, Kerry King and Jeff Hanneman’s piercing, puncturing riffs and Tom Araya’s growling bass and vocals, somehow merged to create extreme metal which transcended genre and solidified their position among the thrash elite. Slayer played harder than anyone else , they played faster than anyone else and Reign In Bloodwas more ruthless and more clinically effective than any thrash album that had come before it. And, while it may be no easy listen, Reign In Blood remains an endlessly rewarding experience and its insistent and incendiary nature never fails to surprise. 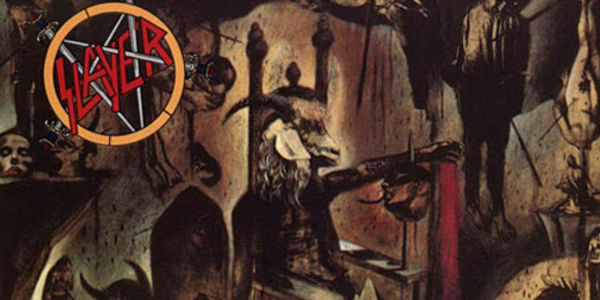 Backed up by Rick Rubin’s (Metallica/System Of A Down/Slipknot) pristine, significantly ahead of its time production, Slayer crafted an album that has arguably never been equaled in ferocity – although Dark Angel’s shockingly savage Darkness Descends and Kreator’s Pleasure To Kill came damn close! Reign In Blood changed the shape of thrash overnight…..and even Slayer themselves would never surpass it! Home to acknowledged classics....and unsung greats too!